1 | All that’s needed from you, is Baby’s feet. 2 | A cast is taken of the feet, not messy and takes about 10-15 mins. 3 | The mould is filled with plaster and left to dry for up to three days. 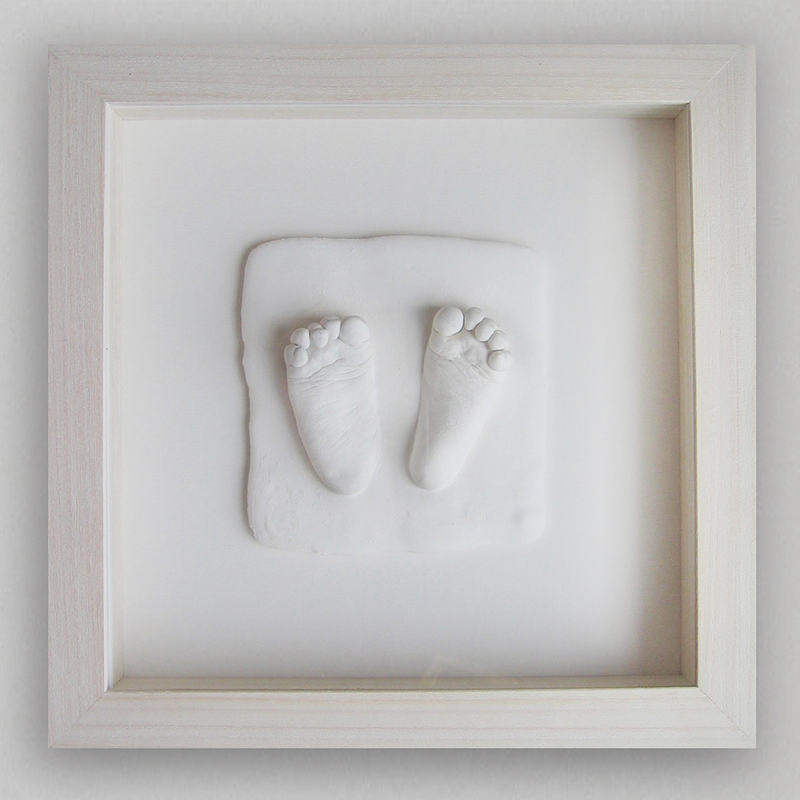 4 | The feet are carefully mounted on their own plaster tile, then framed as you like. 5 | Ready for collection 2 weeks later. Lots of background, feet and frame colours to choose from so you / we can put the perfect frame together. You can come to us here in Dublin 8 or we also offer a house-call service (€40 euro within the Dublin area) we know sometimes it can be tricky leaving the house with a baby.